I primarily make a living shooting motion picture on RED Digital Cinema Cameras and have been working with them heavily for many years now. 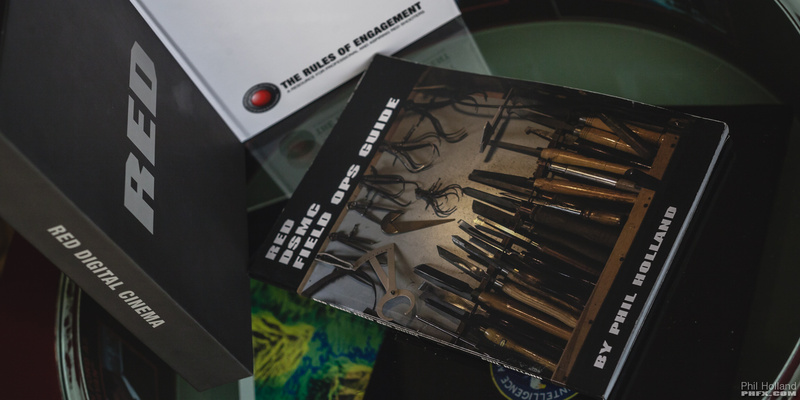 At NAB 2015 I released the RED DSMC Field Ops Guide in conjunction with RED's Rules of Engagement book. The RED DSMC FOG. 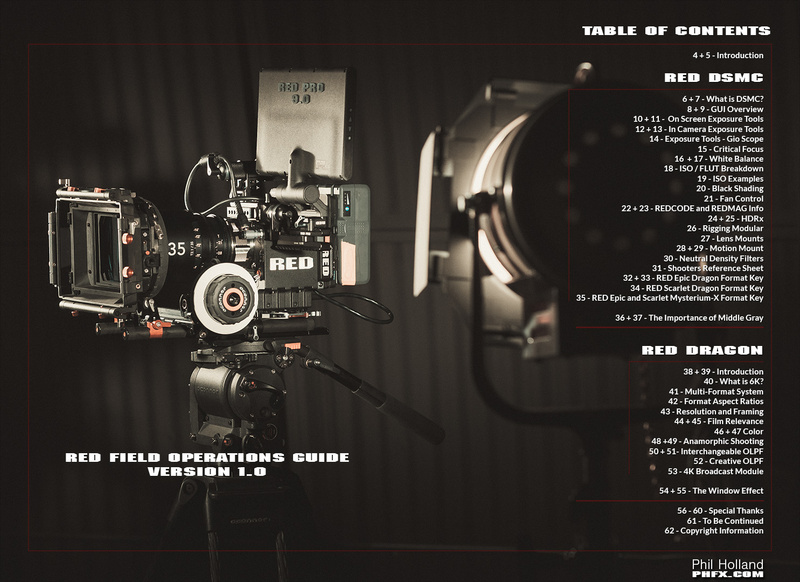 is about 60 pages of practical shooting notes for RED Epic and Scarlet cameras featuring the Mysterium-X or Dragon sensors. Some of which is applicable to RED's new Weapon camera as well. After being heavily involved with contributing to REDuser.net, instructing at REDucation, and instructing international RED workshops in Japan and South Korea it brings me a great deal of pleasure to assist in educating a broader audience in how to create the highest possible image quality out of RED cameras. The RED DSMC FOG is available in the RED Online Store or in any RED Store location. You can purchase it in a bundled slipcase with the RED Rules of Engagement through the link below.